Modified Proctor Test: Its Procedure, Apparatus, Result. 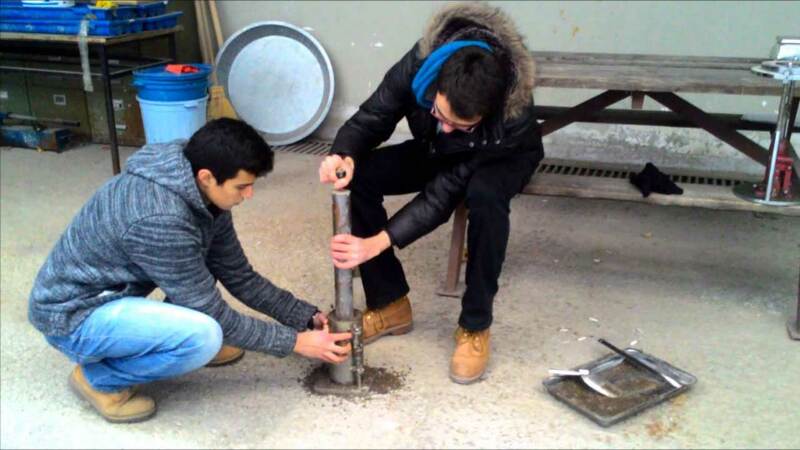 6.The Result of Soil Compaction Test. 8. Q & A about Modified Proctor Test. 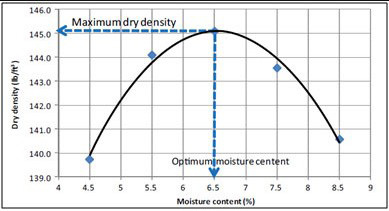 and the relationship between Dry Density and Moisture Content. Its process is almost same as Standard Proctor Test with little differences which you will know here in details. Compaction is the densification of unsaturated soil by the reduction in the volume of voids filled with air, while the volume of solids & water content remains the same. The major aim of compaction of soil is to increase shear strength, decrease compressibility, reduce permeability, & to control swelling & shrinkage of soil. The degree of compaction of soil is measured in terms of its dry density. The maximum dry density of soil occurs at optimum moisture content (OMC). 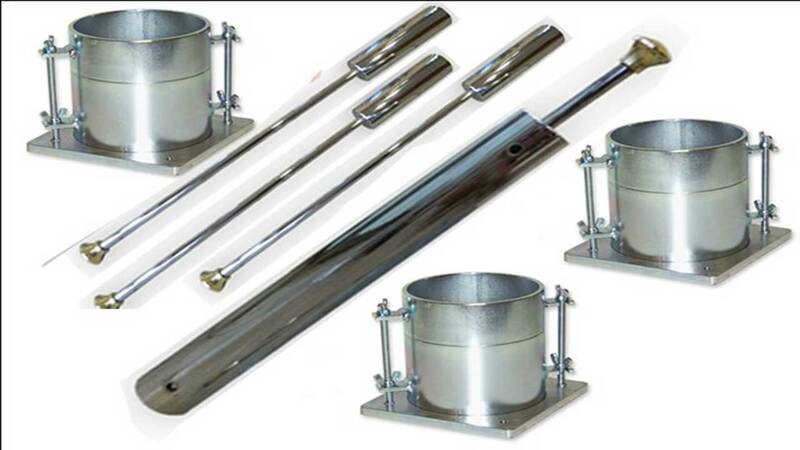 The Modified Proctor Test is of great importance and is widely used in the construction of roads, highways, earth fill dams, earth filling, Airports, etc. In modified Proctor test, the soil is compacted in the given mold in Five (05) layers with a rammer of 10 lbs (4.5 kg) with a fall of 18 inches (45 cm). Read Also: Sieve Analysis of Soil; Its Determination, Theory, Precautions. 3. BS1377 part 4; clause 4.
and the mold should have detachable base plate & color 2″ (5.08 cm). 2. Rammer; weighing 10 lbs (4.5 kg) & having fall of 18 inches (45.7 cm). 3. Sensitive Balance; ranging from 1 gram to 0.I gram. 4. Thermostatically controlled oven (105°C – 110°C). 10. Mixing Tools (spoon, trowel, Spatula). 1. Take about 4 kg of air-dried soil passing No. 4 sieve and mix it with an optimum quantity of water. 2. Weigh the empty mold without a collar, with base plate attached. and with a 4.5 kg rammer dropping from a height of 45 cm. Take care to distribute the blows uniformly over the surface of each layer, and to let the rammer fall freely. 4. Remove the collar carefully strike off the projected part of the compacted soil by steel straight edge. Then weigh the mold + soil. 5. Extrude the compacted soil specimen from the mold and split it on a large tray. Take a sample for moisture content determination. 6. Break-up the specimen to No.4 sieve size, and mix it with the remainder of the original sample. Add suitable increments of water, and mix thoroughly for at least six trials. Then repeat 3 to 5 steps for each trial. 7. Draw compaction curve on a graph with dry density on ordinate and moisture contents on the x-axis. Maximum dry density shall be at the apex of the curve and optimum moisture content (OMC) at which maximum dry density is obtained. 1. If the soil has been cured add 1% water by weight in the account for evaporation losses. 2. Apply 25 blows for 1000 ml capacity mold and 56 blows for 2250 ml capacity. 3. For utmost case take two M.C rep. Samples, One near the top and other near the bottom for each trial. 4. Mix the water thoroughly. 5. Soil should be air-dried and passing through sieve No. 4. 6. Compaction should be done in specified layers, and each part should be compacted properly. 7. The Increment of water content should be 2-3 %. Q.1: What is the difference in the maximum dry density achieved in standard and modified proctor test. Ans: In the standard compaction test, the maximum dry density is achieved on greater moisture content as compared to in Modified Proctor Test and vice versa. Ans: The energy required for the compaction of soil is known as compaction energy. Q.3: What is the difference in the OMC of Standard Compaction test and Modified Proctor test? Ans: In the modified Proctor test the moisture content will be required in less quantity to achieve OMC and vice versa for standard Proctor test.